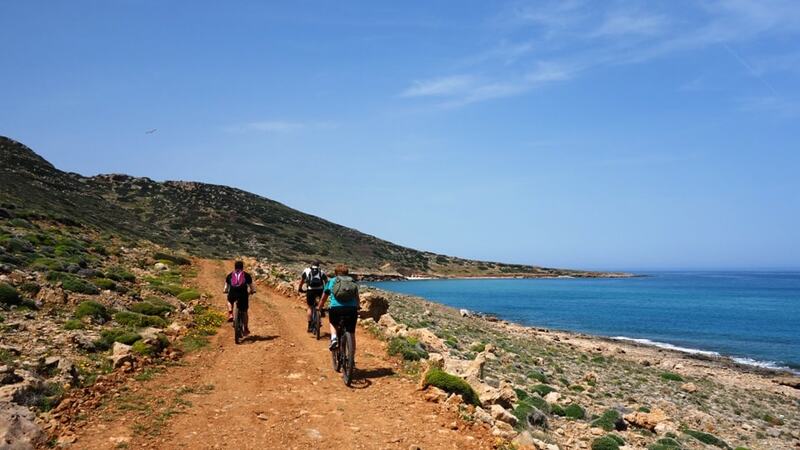 Five unique e-bike tours at selected areas of Crete to explore the very best of the island. 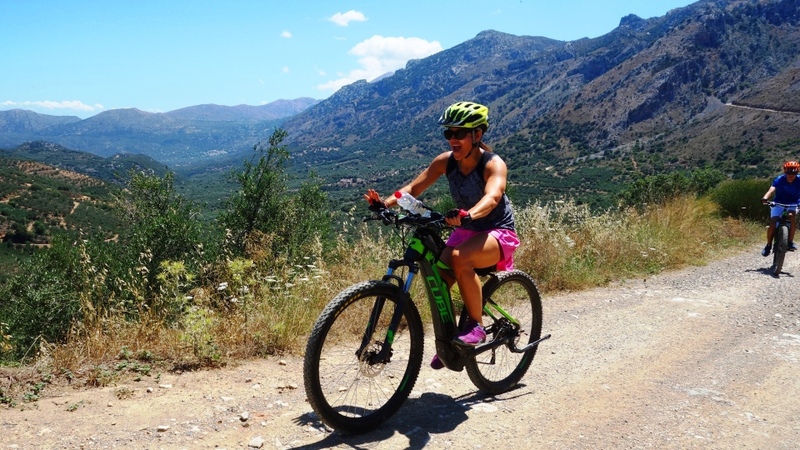 Ride an ebike and let all of your senses to discover Crete in a way that you cannot feel by any other means. Be one with nature, gaze the panoramic views unimpeded, feel the wind on your skin, smell the fragrant smell of the flowers and herbs, pedal right next to the wild goats, listen to the whistle of the wind and the twits of the birds. 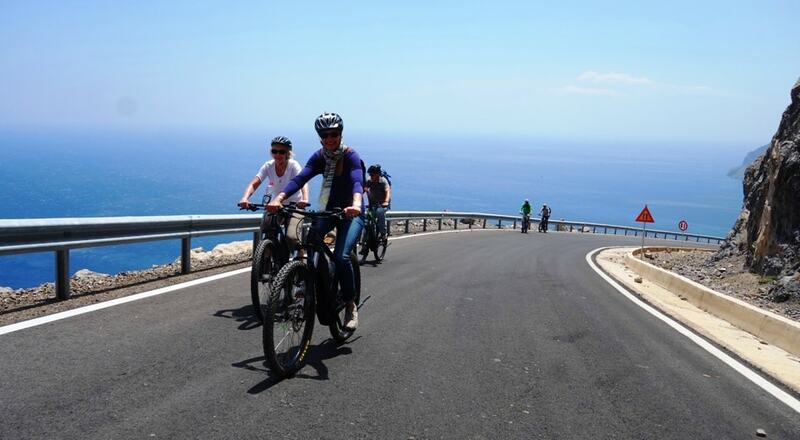 Each tour is a round ebike tour at completely different areas of Crete. 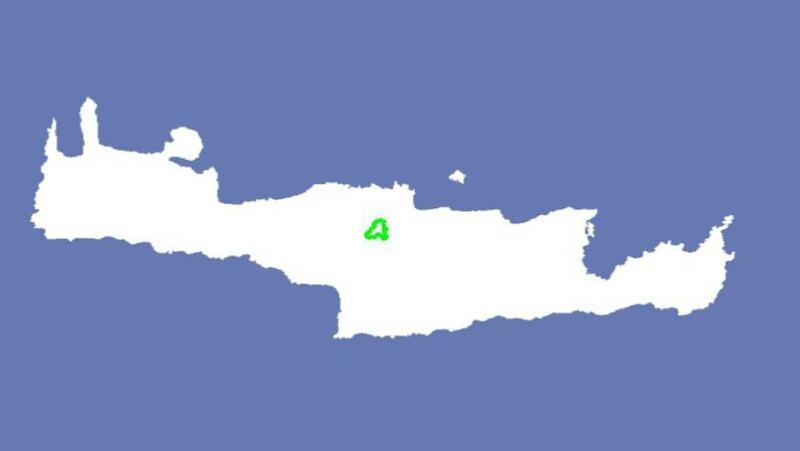 Every day we drive with the car to remote areas and do some of the best round trips in Crete. Every tour and a completely different experience . 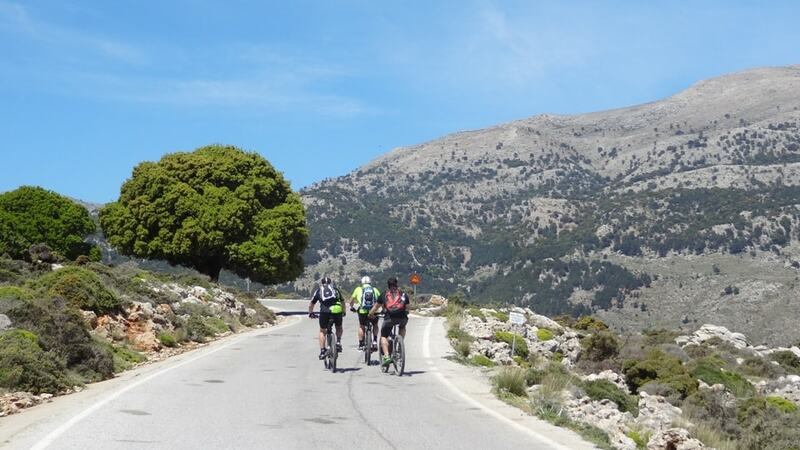 Cretanization is a collection of bike tours in order to get a complete view of Crete. We do not do five bike tours at the same area. Crete is a big island and we want to show you all the different landscapes and aspects of our island and all this in combination with tasting our cuisine and exploring the cretan culture. Cretanization is recommended only for cyclists age 14 or older, who are able to confidently ride a bike. The bike tours are performed at low traffic tarmac and dirt roads. There are no difficult, dangerous or technical downhill sections. The tours are focused on exploring Crete and have fun not on training. We ride with a moderate pace and do stops to admire the view, rest, take photos, talk, have lunch - dinner or swim (when possible). The tour is recommended for all year round. During the winter months we drive with the car at the places with the optimal weather. During the warmer months the heat is not a problem for ebikes as we ride faster and the breeze cool us. 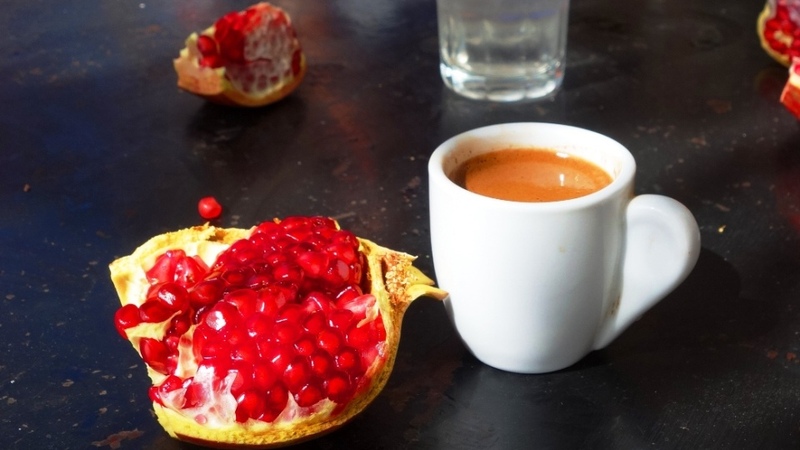 During every tour we do a regeneration stop at a traditional cafe where we drink a coffee and get some extra power. 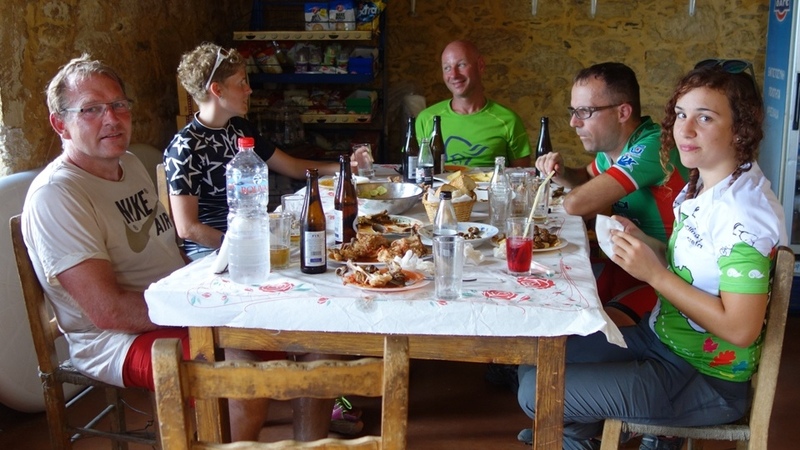 At every tour we enjoy lunch or dinner at some of our selected traditional taverns. 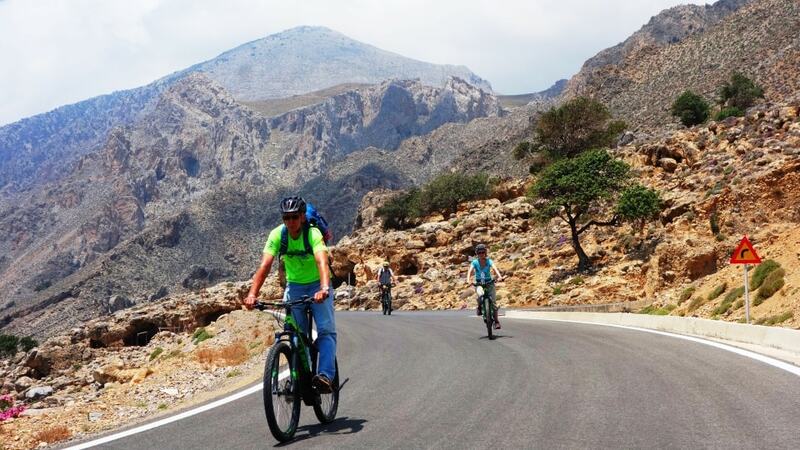 We are locals, after 16 years of cycling we created a large portfolio of bike tours in Crete. Ιn case the weather is not ideal at the place that we plan to cycle, we will visit another area in order to find the best possible weather conditions. 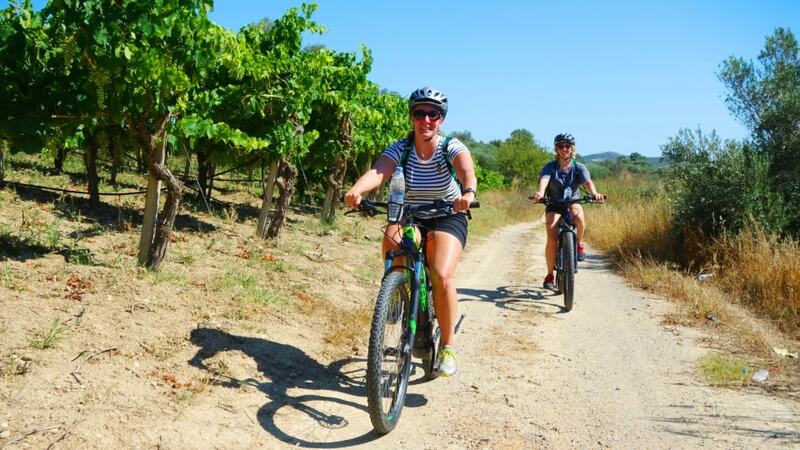 Our aim is to offer you an unforgettable cycling experience. Price : from 1080 euros pro person. Accomodation at Lyttos Beach 4star all inclusive Hotel. Price above is for 7 nights per person full board in Lyttos Beach Hotel based on sharing a family room garden view. Price is valid from 24 October until 18 November 2018, 5 April until16 May 2019 and 19 October until 31 November 2019. For other months bookings, please contact to discuss options. •Accomodation in smaller hotels and appartments during winter months is available - please contact to discuss options. Minimoum group size 6 riders.